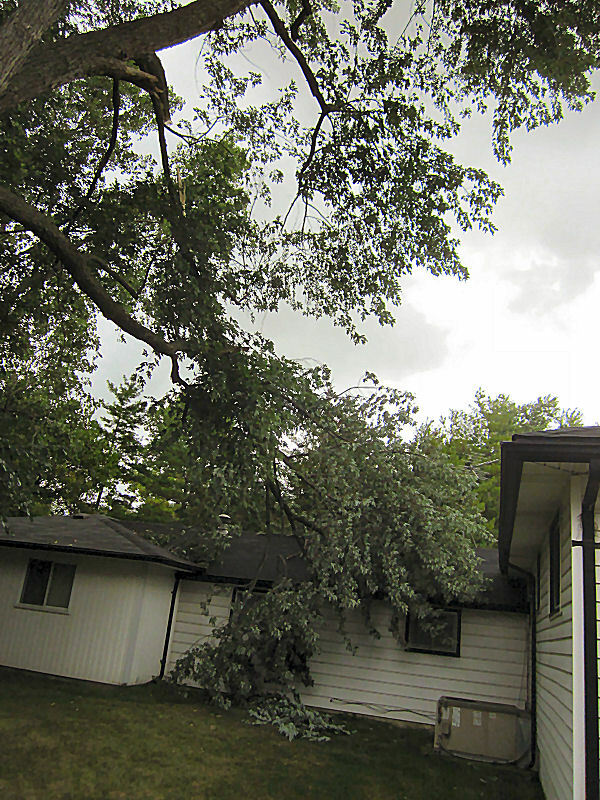 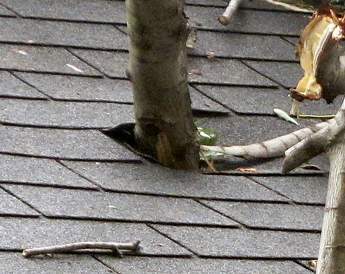 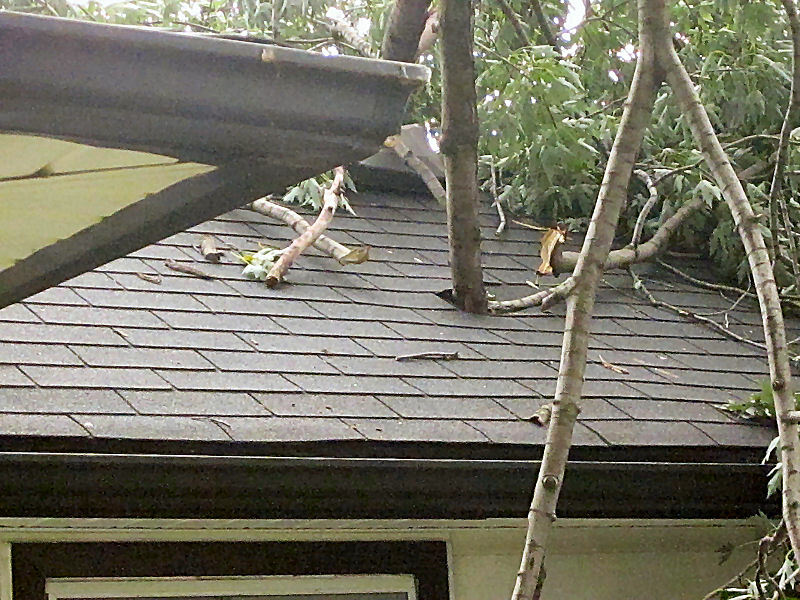 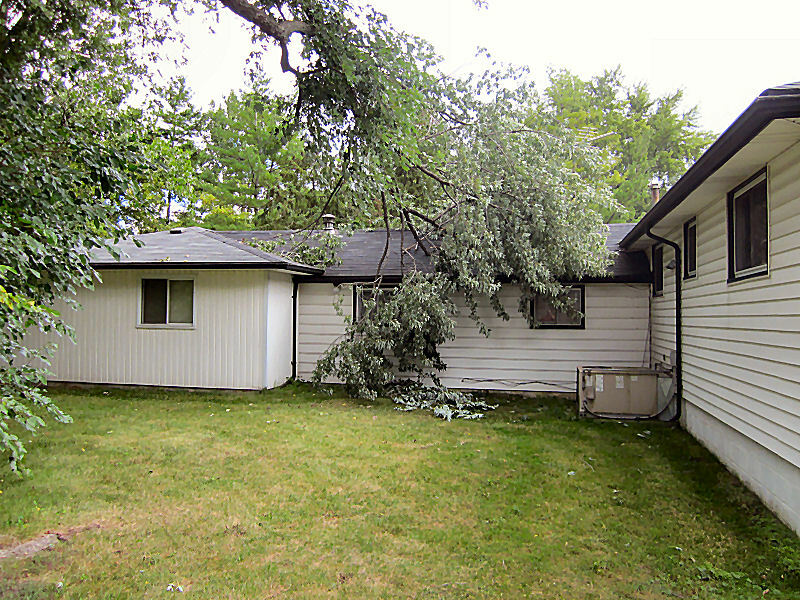 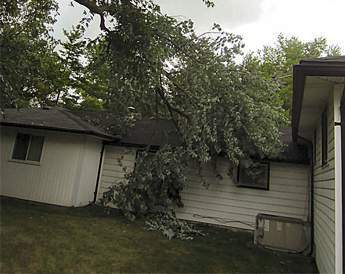 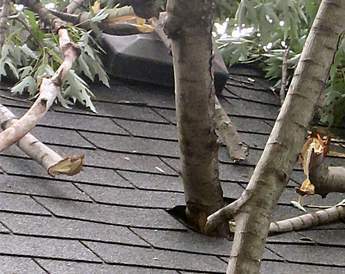 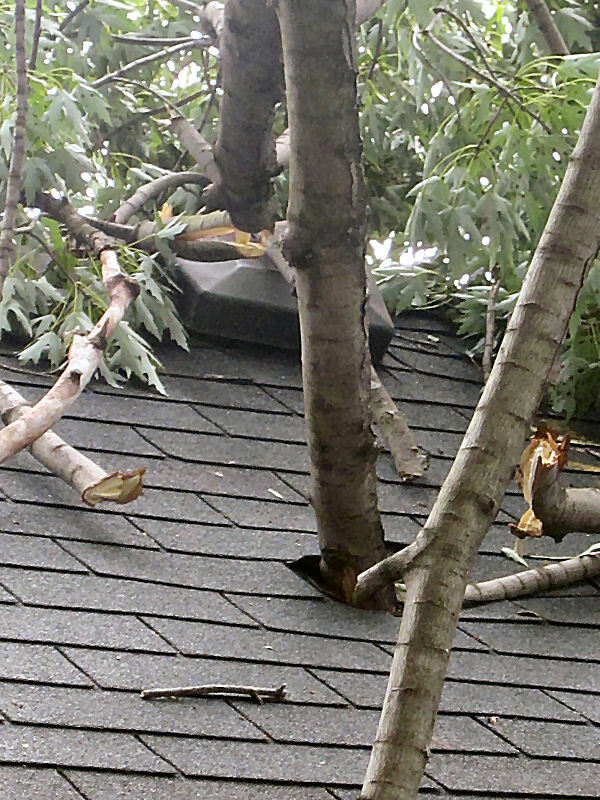 A fallen tree hit this residence and a branch punctured the roof. 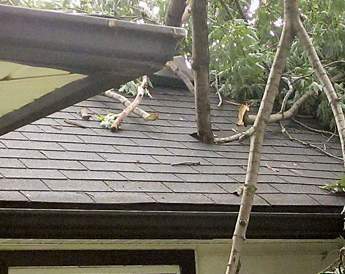 The branch created a gaping hole that was estimated at approximately $3,000 damage. 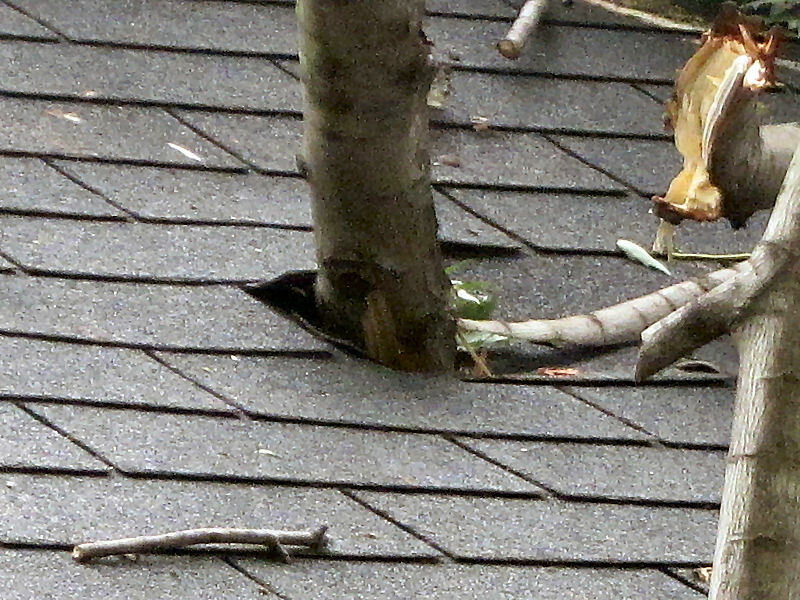 Alpine Construction was called in for emergency services.